“The Anjou region is a mosaic of very varied and rich terroirs,” Xavier explains. 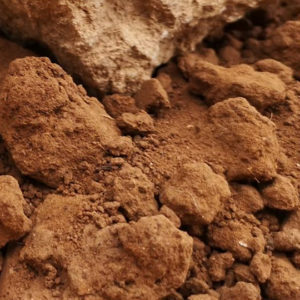 “Being at the junction of the Armorican Massif and the Paris Basin, the Bois-Brinçon vineyards offer a rare diversity of soils and landscapes spread over six communes and eight different terroirs.” The domaine’s key soils include several types that are quite specific to this part of the Loire: volcanic rhyolite and spilite; marne à ostracées, primarily composed of fossilized oyster shells interspersed with clay and limestone; and grès, consisting of fossilized coral and sponge-like rock atop pure Anjou tuffeau. Xavier is convinced that “vinification by terroir” is essential to the transcription of soil to wine. Xavier and Géraldine’s philosophy of farming biodynamically “requires having the right gesture at the right time in permanent awareness of respect for nature.” They continually evaluate new and alternative practices to this end. Their commitment extends to a regional initiative to plant hedges and develop natural areas so birds and beneficial insects can restore the balance of nature in and around the vineyards. “We accompany the wines without useless and traumatic interventions,” Xavier says, “like a parent who sees his children grow up and accompanies them so they take the right path.” In the cellar, his focus is on a long, slow, gentle “infusion” style, with an eye to elegance and freshness. The reds are all de-stemmed, do not undergo pigeage, are fermented in cement tank, and raised in neutral wood and stainless steel. The whites are strictly selected in the vineyard to remove botrytis (healthy, botrytized grapes are only chosen for the Coteaux du Layon), and whole clusters are given long, slow, gentle press cycles, with fermentation in neutral wood. Crémant is sourced from a tiny parcel of pure tuffeau topped with grès, tuned specifically for this wine. Primary fermentation occurs in temperature-controlled stainless steel tanks. The crémant is bottled with a percentage of natural grape sugar left in and secondary fermentation takes place in bottle, followed by two years of elevage sur latte. The season started with difficulty in April with frost causing a loss of 30%. Summer and fall were beautiful and remained so up until harvest. 2016 was a mature and more complex vintage than previous years—very balanced wines with good aging potential. A very warm vintage where the work of the vine was facilitated by good growing conditions. Choosing a date to harvest was difficult as we wanted to ensure the freshness of the grapes. Very nice vintage for fruit and balance—wines to drink with aging potential. This vintage was complex. The work on the vines was very important and the choice of harvest dates was of utmost importance. The grapes matured very nicely and made for an elegant vintage that has opened up with time and is fully expressive, today! It is only in the Loire that ostracées, otherwise known as fossilized marine sediment consisting largely of oyster shells, are found. 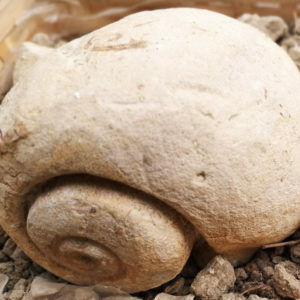 These fossils are interspersed with marne (argile-calcaire), which is a mixture of clay, where proportions range from 95% to 65%, and limestone, where proportions range from 5% to 35%. The terms "hard clay" or "calcareous clay" are sometimes used instead of limestone clay, or argile-calcaire. 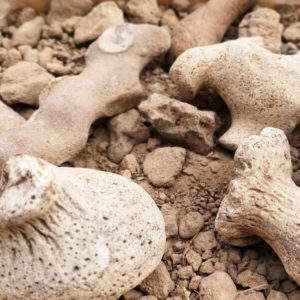 The tropical and shallow Cenomanian sea formed corals and sponge-like rocks (called "grés") that have fossilized and now sit 80 centimeters thick atop tuffeaux topsoil, underneath of which lies a very stony, sandy-loam soil. 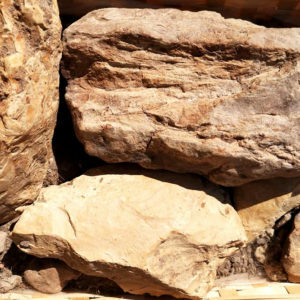 Sandstone is a clastic sedimentary rock composed mainly of sand-sized (0.0625 to 2 mm) mineral particles or rock fragments. These lacustrine deposits formed in the bottom of ancient bodies of water and were carried into the basin by rivers and streams. As such, footprints of plant material have been pressed into the sandstone, which sits atop sandy loam soil. 2016 Anjou Blanc Blaison "Terre de Grès"
2014 Anjou Villages "Les Saules de Montbenault"
2015 Anjou Rouge Chemellier "La Seigneurie"
2012 Anjou Rouge "Le Clos Bertin"
2015 Anjou Villages Gohier "Le Clos des Cosses"
2015 Coteaux du Layon "Les Varennes Faye d`Anjou"